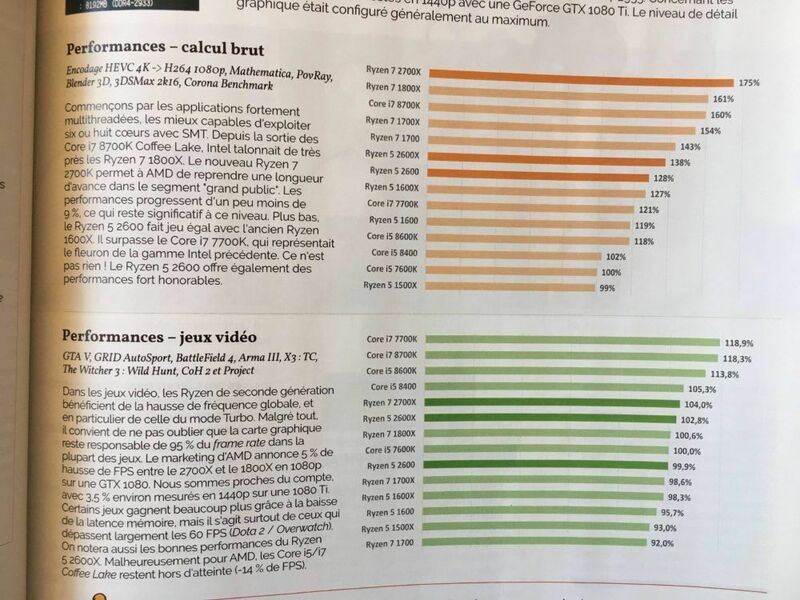 Official benchmark results of the AMD Ryzen 7 2700X have appeared in French tech magazine, CPC Hardware. 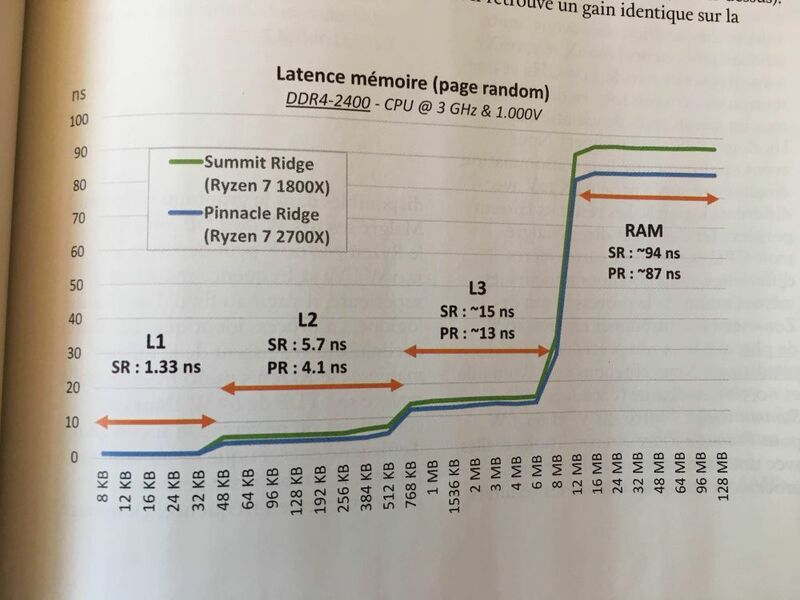 The pages show a CPU that is about on par with the Ryzen 7 1800X in terms of gaming performance, but far ahead in synthetic tests. 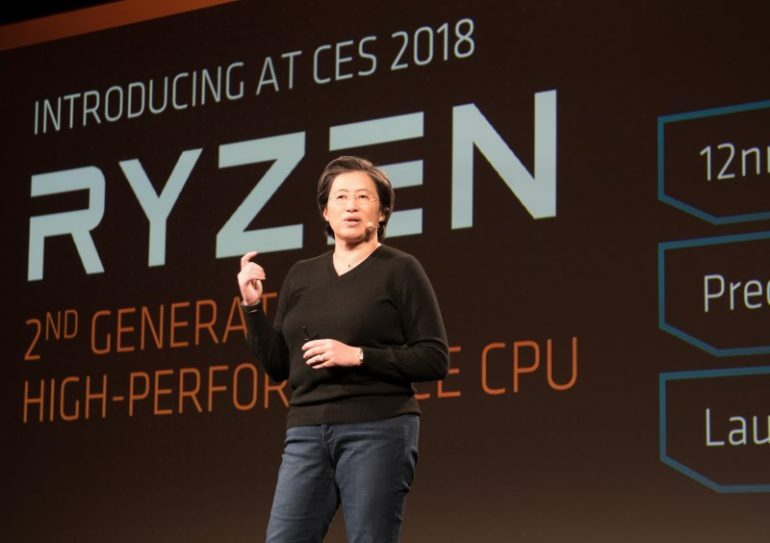 In its synthetic portion, the Ryzen 7 2700X reportedly showed a 14% improvement over its predecessor in HEVC to H264 encoding, Mathematica, PovRay, Blender, 3DSMax, and Corona. The gaming portion showed a smaller improvement, with a difference of just 4%. The games that CPC used to gain the results included GTA V, GRID AutoSport, Battlefield 4, and The Witcher 3: Wild Hunt. 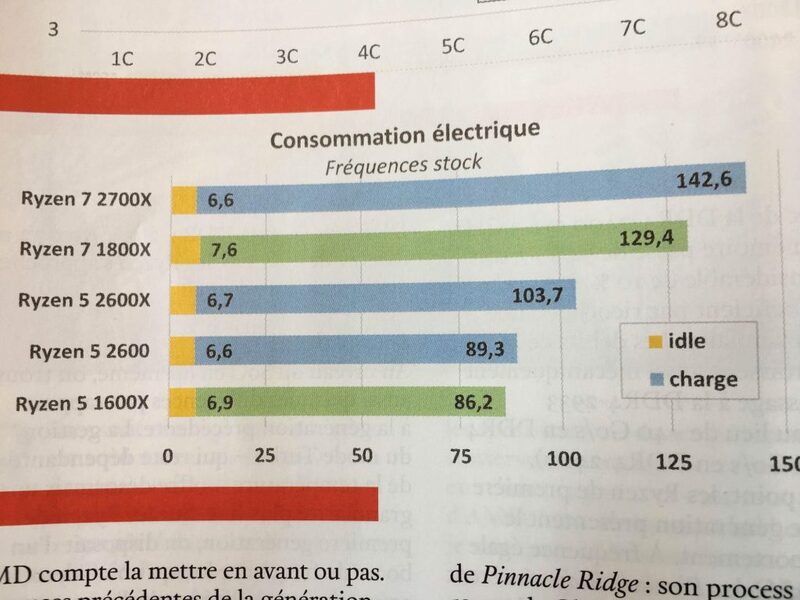 One major drawback that CPC Magazine was quick to point out was its increased power consumption; on a full load, the CPUU reportedly consumed 142.6W of power, compared to the Ryzen 7 1800X’s 129.4W of power. 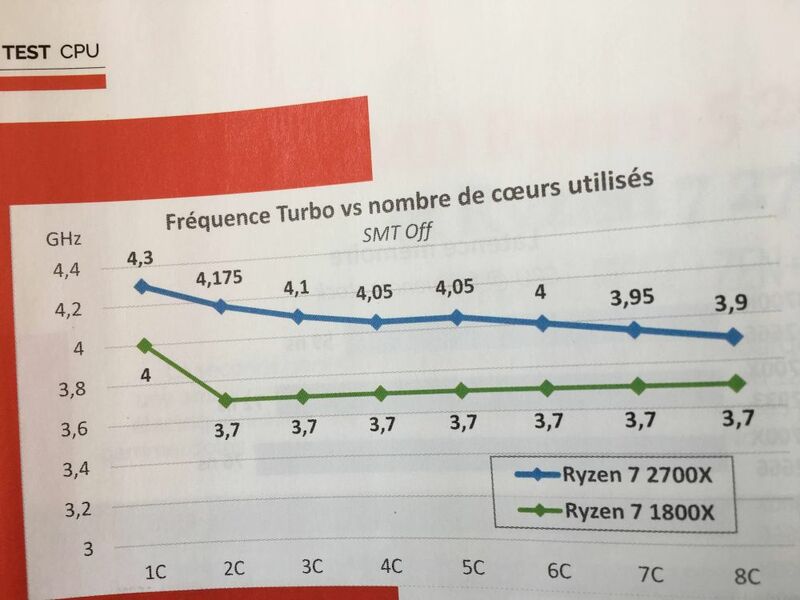 Having said that, it looks as though the Ryzen 7 2700X also has a much smoother turbo acceleration and deceleration compared to previous generation Ryzen CPUs. 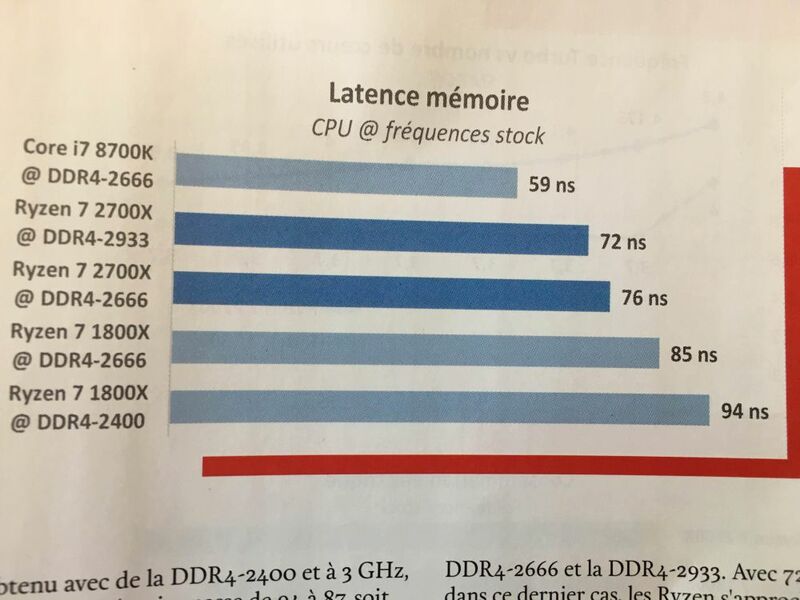 CPC Magazine stated that they had tested the CPU using an A320 motherboard, meaning that the CPU would not have XFR2 support. Which in turn suggests that the full potential of the CPU couldn’t be testing. It’s difficult to say how much more performance having an XFR2 motherboard would get, but these numbers are a good baseline for which to gauge the worth of the Ryzen 7 2700X.